Ohio: Previously shown at galleries in India, the Saatchi Gallery in London, and Bose Pacia Gallery in New York, Pushpamala N’s collection of photographs from The Ethnographic Series 2000-2004 is now on display at the Gund Gallery in Ohio. Produced in collaboration with photographer Clare Arni, the series is a look back at 19th and 20th century ethnographic photography in India. 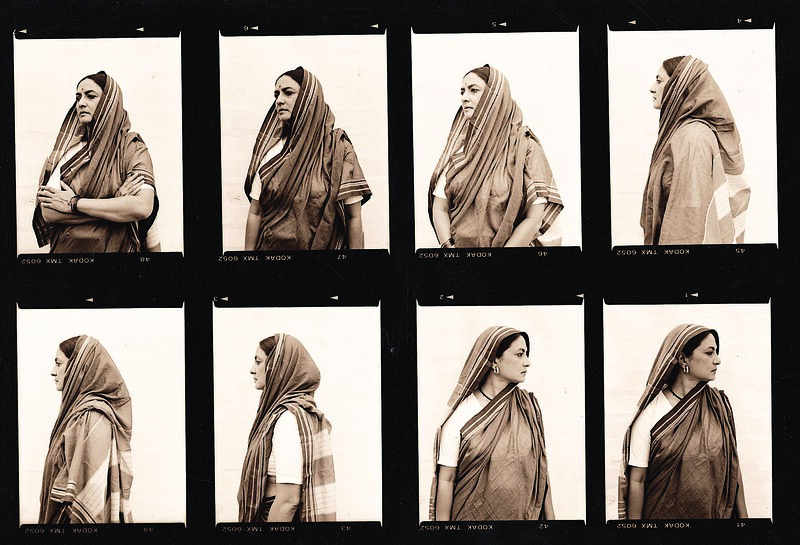 Often the subject of her own compositions, Pushpamala N. believes that anthropologists are no longer the anonymous, objective observers that were. In fact, they rather become the subject by bringing in their personal identity. She emphasizes her use of the camera as an ethnographic tool. In an interview with Gund Gallery associate Claire Buss, Pushpamala N. talks about inhabiting the persona of the central character and “masquerading” in a role. It works as a comment on staged ethnographic photography, where the central characters were very often made to position themselves in a certain way, thereby questioning the authenticity of capturing ethnography.